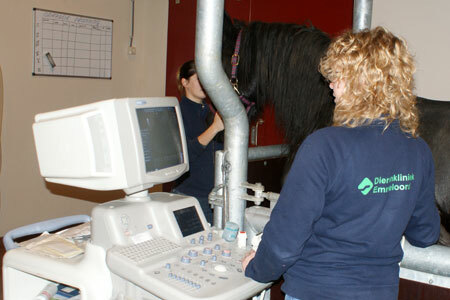 One of the pillars of Dutch Premium Horses is the veterinary support it provides. 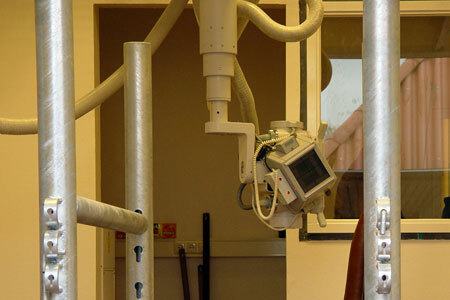 The Equine Clinic Emmeloord has over 45 years of experience in equine veterinary medicine. With its state-of-the-­art equipment every aspect of equine medicine, surgery, animal reproduction and obstetrics (theriogenology) is covered. Six veterinarians and their assistants form a passionate team that guarantees the highest possible standard, fast treatment and all-­in service. Customers are offered training of their staff on the welfare of horses which can include equine preventive health care and/or treatment of emergencies, injury and diseases prior to arrival of a veterinarian. In dedicated workshops or training courses in accordance with the customer’s wishes the participants are introduced to a high level of horse care. Should a stable wish to have its own equine health center; Dutch Premium Horses can give advice on the necessary equipment and skills. All equipment is directly delivered to the customer’s premises and DPH provides assistance with the personnel’s familiarization. Contact us to learn more about all possibilities.